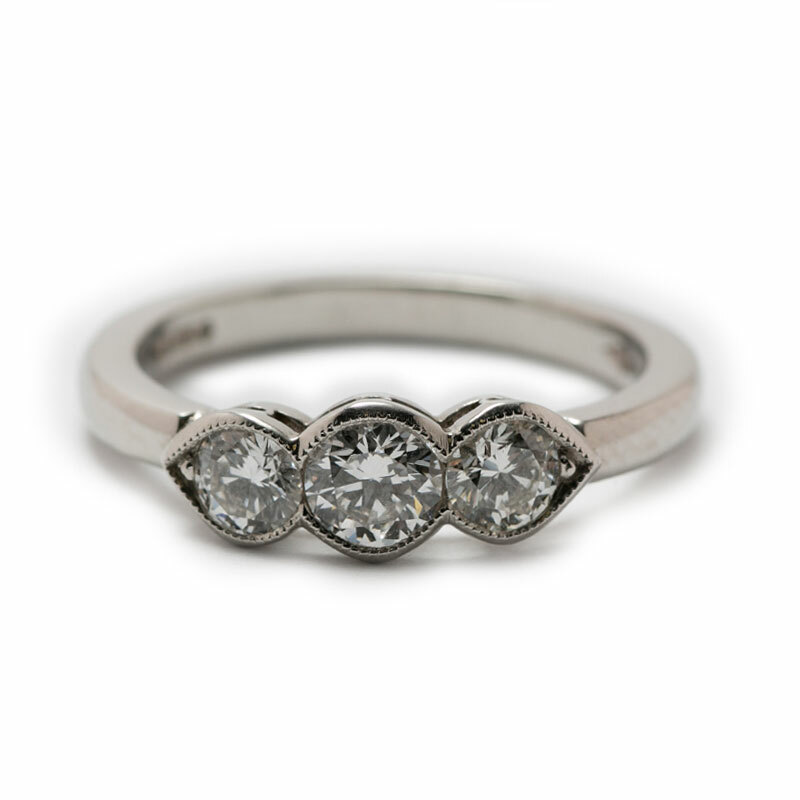 Platinum ring with a central brilliant cut diamond in a beaded setting. 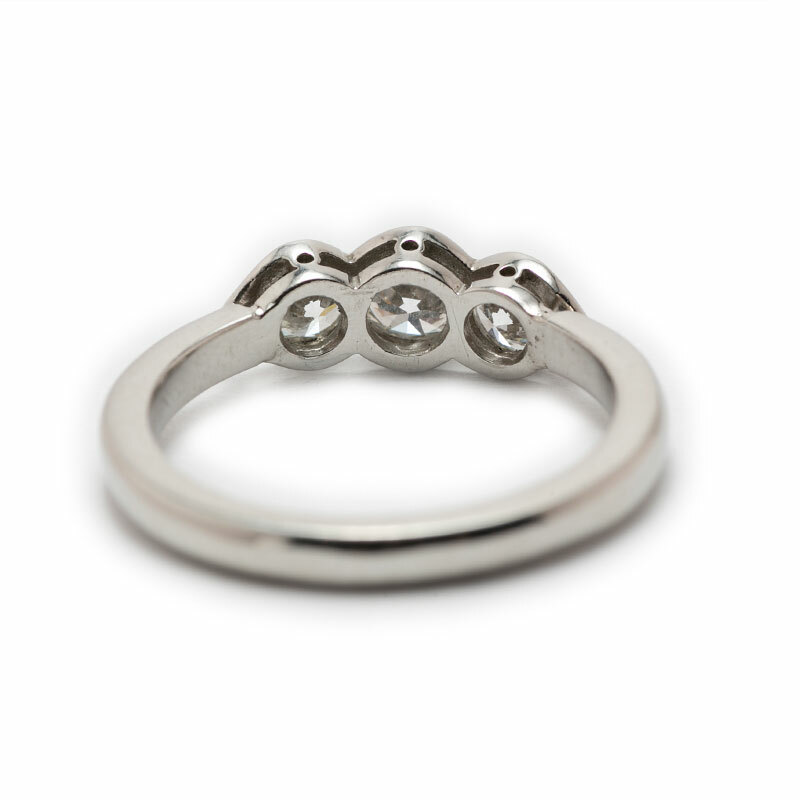 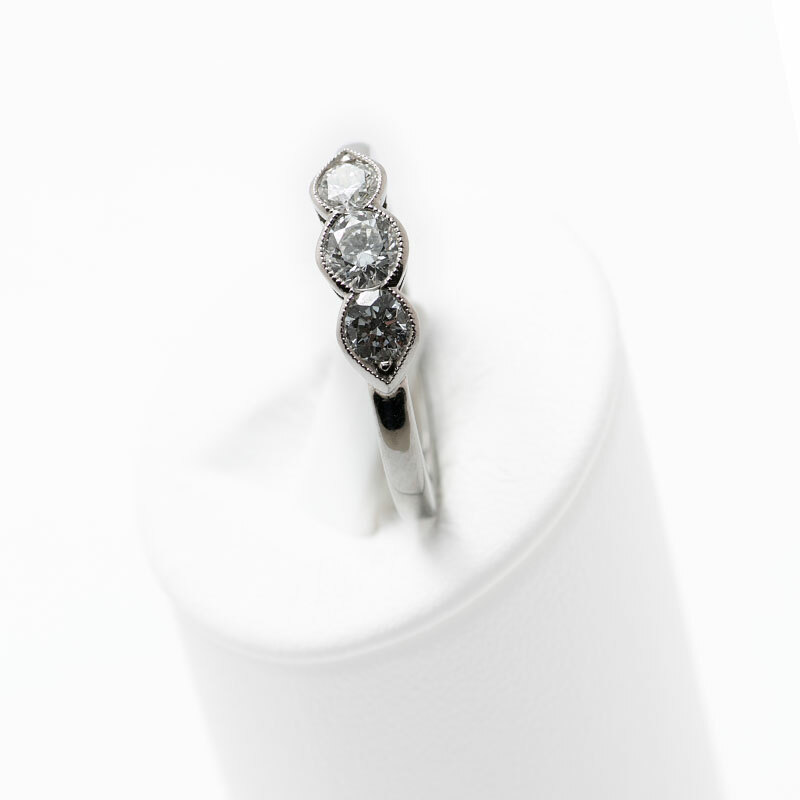 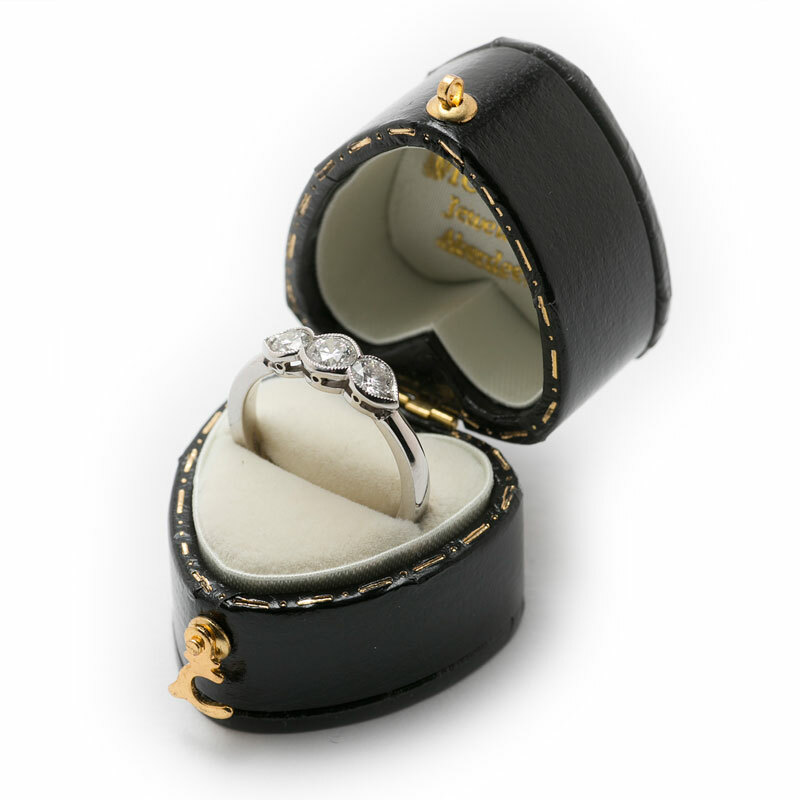 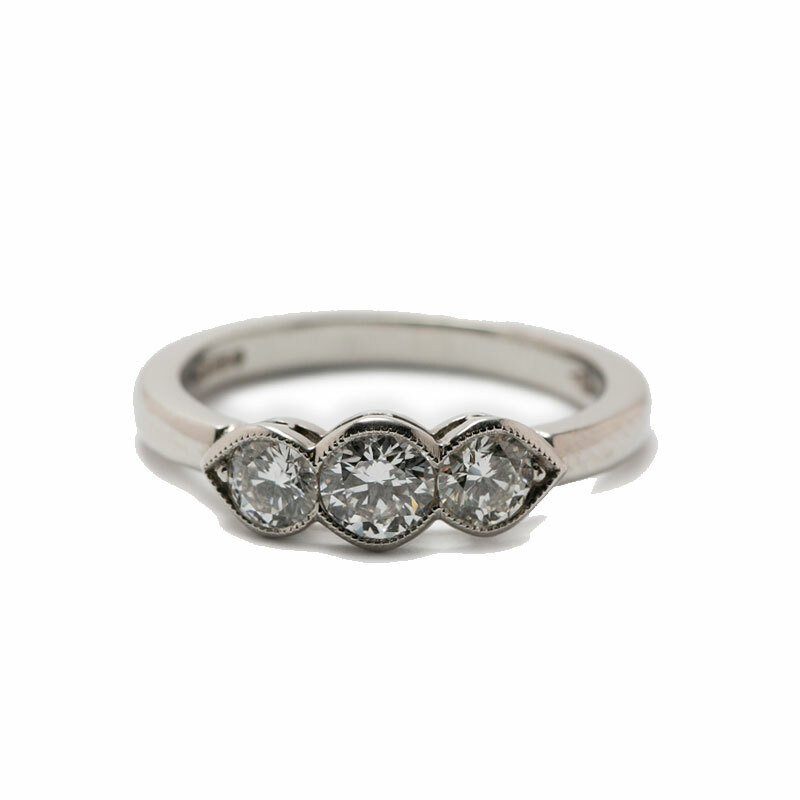 A brilliant diamond in a pear shaped beaded setting at either side completes the trilogy ring. 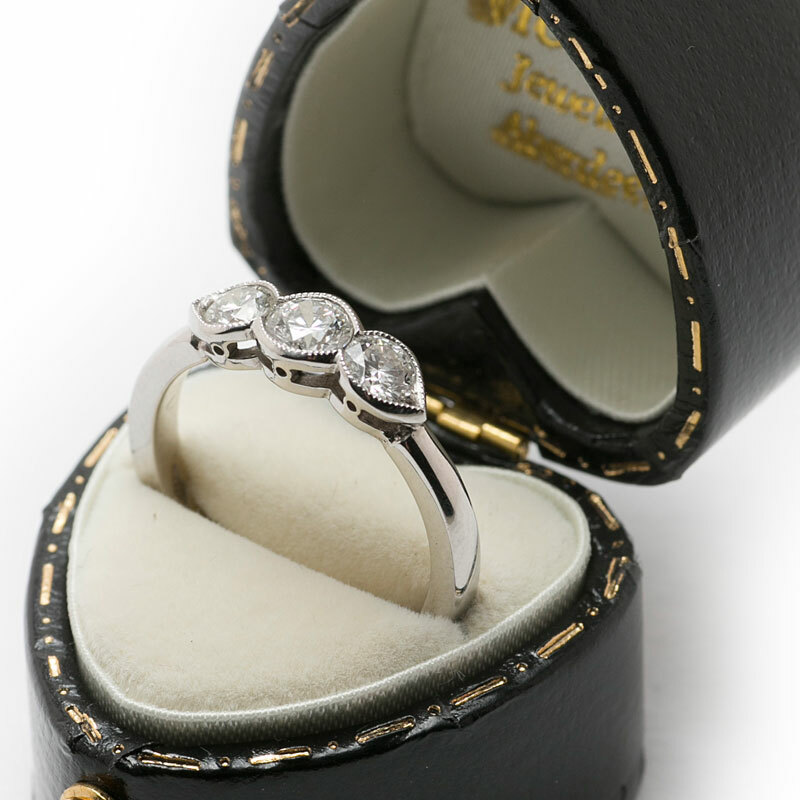 Recently valued at £4100, our price £2995.